The French Network of Urban Planning Agencies (FNAU) was created in 1980 and gathers today 50 urban planning agencies in the French territory, most of them with an associative status that enables public partners of urban development and communities to meet and get involved together. The FNAU is an association of elected representatives that offers a privileged place for dialogue regarding urban issues and the future of urban public policies. The network is involved in national and European debate on the future of urban public policies. The network gathers more than 1500 experts in urban planning, rooted in local realities. The federation enables them to have a place to exchange and work closely in order to capitalize their knowledge, share their experience and work on common projects. Urban expansion have been truly significant over the past decades, especially in developing countries, both in secondary cities and in metropolises. This leads cities in the world to have global views and anticipation of the urban growth. Responding to this need of urban and territorial planning, the FNAU enhances the French vision of urban planning to foster international partnerships, and support French expertise in urban policies. More over, the FNAU takes part in international events and discusses about urban matters and develop partnerships with major international actors such as UN-Habitat, Cities Alliance, United Cities and Local Governments (UCLG), Network of Regional Governments for Sustainable Development (nrg4sd), Cités Unies France (French United Local Governments), General Assembly of Partners (GAP), World Urban Campaign, French development agency (AFD). The FNAU International commission lists the actions led by French urban planning agencies worldwide. 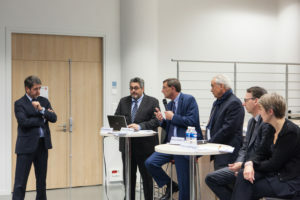 In 2012, the FNAU has been copilot of a working group led by the French Alliance for Cities and Territorial Development (PFVT) about strategic planning. The group published a document entitled « French orientations for strategic planning » that was presented and discussed at the international urban forum of Naples in September 2012. The network was also present at the Africities forum in December 2012 as part of the PFVT. The FNAU has taken part in the World Summit for Climate and territories in Lyon in July 2015 and it organized the Paris Urban Campus in January 2016 with the PFVT and the Paris Region Planning and Development Agency (IAU-ÎdF) as part of the World Urban Campaign. 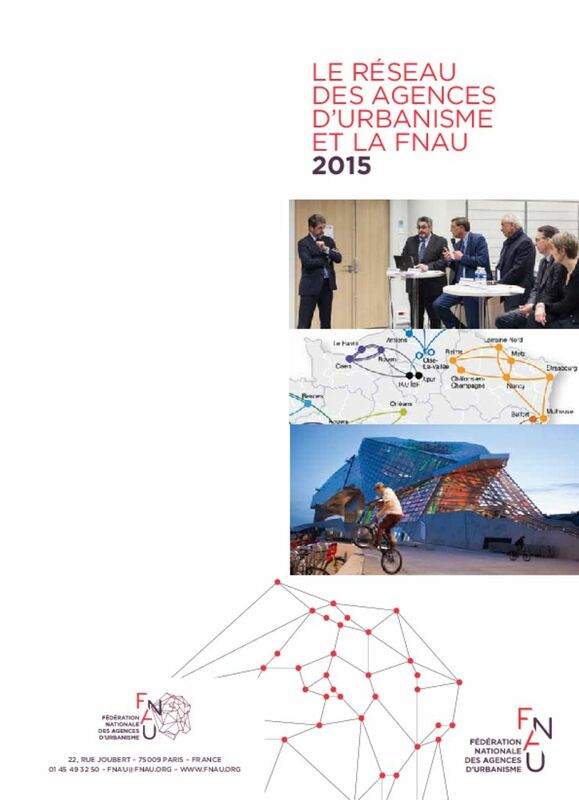 The FNAU participated in Habitat III and is part of Climate Chance about smart planning for a sustainable city. Finally, the FNAU creates partnerships with its international counterparts, like the network MAJAL (Moroccan urban planning agencies) for more than 20 years or the AMIMP network in Mexico. Eventhough urban issues do not belong to the EU expertise, some programs like URBACT, the European program for territorial cooperation, support an integrated and sustainable urban development for European cities for purposes of cohesion policies. The FNAU works in particular with the network of European cities, Eurocities, that is in charge of the promotion of sustainable and smart cities. The FNAU has also taken part in the production of the Reference Framework for Sustainable Cities (RFSC), a web tool aiming to help cities to promote and to improve their actions regarding integrated sustainable urban development. The FNAU works to build up cross-border zones as pore and dynamic spaces through which countries improve mutually their urban policies. The FNAU works in particular with the cross-border operational mission (MOT) that brings an operational help to project leaders in cross-border zones.